This hat is adorable! I have another Stormy that I love, as well. I ordered the same size and it's a bit snug, but it will stretch to fit like a custom made hat. Purchased my hat wife liked it so I ordered on line! My wife loves the hat! 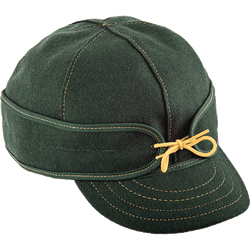 Purchased for my girl, she has wanted a Kromer for sometime now. I ordered the hat for Christmas and it was perfect! Size was spot on and the service was personal and timely. Also love that it is made in Michigan's UP. I highly recommend Stormy Kromer products. My hat is 15 years old and worn almost daily in the winter, it still looks great. Great quality, loving it so far! 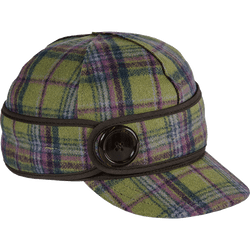 For my birthday I received a Stormy Kromer gift card so I ordered the button up in red tartan plaid and in winter white. I already had an Ida Kromer in gray, so I just went with the same size. I absolutely love these hats! So far I've worn both of my new hats and the size is consistent with my old one. The flap works great when it's a little colder out, and they're cute enough to get compliments when I wear there. 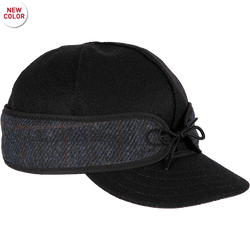 From my experience with the Ida Kromer I have no doubt that the button up will also stand up to our cold, snowy SW Michigan winters! The quality of this product is of the highest workmanship and the style is sporty. I bought this for my 3 year old great nephew and I cannot wait to see it on him. It will keep those little ears warm and flatter his adorable little face. I love this hat. Perfect fit.